If you are looking to get a good price on your current RV to get some credit for your next model, we offer excellent RV consignment here at Wilkins RV in New York. 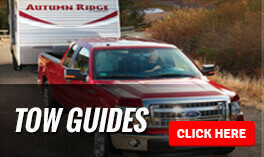 The RV consignment that we offer here at Wilkins is so easy, you won't believe it. You won't have to answer constant phone calls, set up appointments to show your RV, give your keys over for a test drive, worry about financing, or anything else. We are able to help get you a fair price on your RV without all the hassle. You won't have to do all the paperwork or worry about accepting trade-ins, we do all of that for you! If you are interested in consigning your RV, just fill out the form below with the information on your current RV. If you need help with anything else or have any questions, you can always contact us today for more information.